We call on you to immediately release Anna Hazare, and all of those arrested. We urge you to ensure the police uphold the constitutional right of all Indians to peacefully protest and demand an end to corruption. We stand with Anna Hazare in his urgent call for a Jan Lokpal. 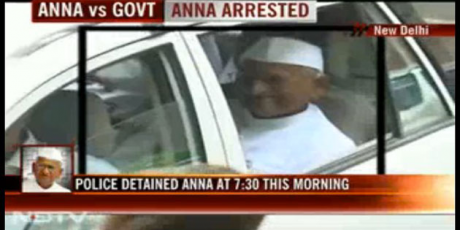 Free Anna and Free India of Corruption Now! "Don't let my arrest stop this movement. This is the nation's second struggle for freedom." Let’s heed his call to action -- if we all now stand with Anna and show that we will not be silenced, we will force the government to free him and listen to the demands of the people.